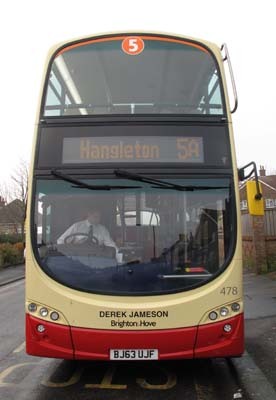 Connections with Brighton and Hove : After editing three national newspapers, Derek Jameson started a new career with the BBC as a broadcaster, Jameson was born in East London into a poor family but he overcame adversity and quickly rose to the top in journalism. He put circulation up as editor of the Daily Star and did the same later at its parent paper, the Daily Express. Jameson was less successful at the News of the World where he was sacked. He was also broke, having lost a libel action against the BBC for calling him an East End boy made bad. But the BEB unexpectedly offered him a job as joint presenter of a radio programme with his wife Ellen and he accepted. Jameson lived for many years at Western Esplanade in Hove where there are houses backing on to the beach. He wrote a weekly column for The Argus. 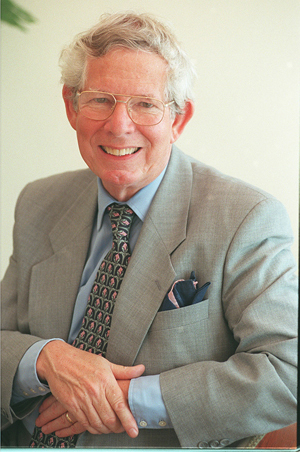 He chaired the Association of Harbour Communities which kept an eye on what was happening at neighbouring Shoreham Port, The Jamesons moved to Florida in retirement but came back to Sussex, this time to Worthing, before he died aged 82 in 2012. 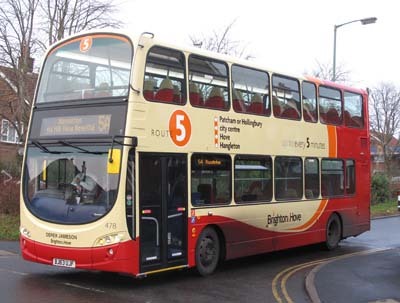 478 Volvo Gemini - carried name since delivery in November 2013 on Route 5.